/ InfoWars Banned for Hate Speech? InfoWars Banned for Hate Speech? The new European regulations are actually having an impact globally. 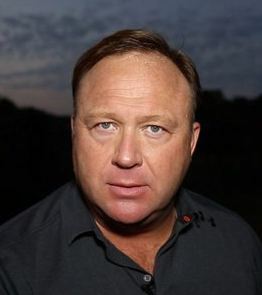 Alex Jones’ InfoWars has been banned by Apple’s decision to remove five podcasts by Jones and his Infowars website. Other companies have rushed to join including Facebook, YouTube, and Spotify. The general reason is Jones’s podcasts are viewed as “hate content” which can subject them to heavy fines in Europe. While I have appeared one time on his InfoWars, I do not create conspiracy scenarios nor do I agree with many. I look deeper than just the surface. I have stated bluntly that the forecasts made at Davos and the Bilderberg Meetings are ALWAYS wrong! Even the BBC asked why do economists get it so wrong? These meetings are often used as proof of some world order that creates everything intentionally be it a boom or a bust. I have stated countless times that if there really was some giant conspiracy that controlled the world, they would NEVER call me in for help or even explanations. The far more scary reality is the powers that be are clueless and are ruling by the seat of their pants. It just seems as if those in power are often the people who have little experience in the real world and could not make it there so they gravitate toward government and power. Sure, you can pretend to connect dots. However, you have to actually peek behind the curtain and then you are faced with a frightening reality – nobody is in charge and there is no long-term grand plan other than hiding their incompetence. 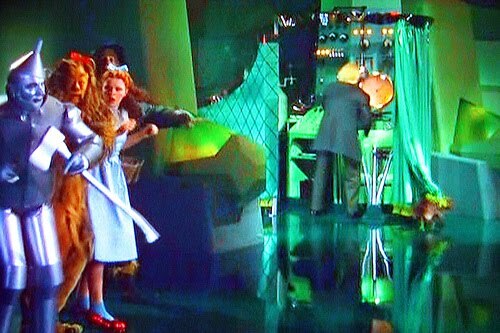 This is no different than when the dog pulls back the curtain in the Wizard of Oz and you see the fraud. I know there is a general conspiracy about some new world order. That is exactly what was behind creating the EU and the Euro. It is failing because one-size does NOT fit all cultures and economies. Some are export driven and others are domestic consumption driven. This is the great difference between Germany (Export driven) and the United States (DOMESTIC consumption driven). I cannot see some new world order of one government EVER happening without war. You cannot get the Democrats and Republicans to agree in Congress and that is just in the USA. You really expect all world governments to ever agree to a SINGLE POWER? Even the refugee crisis is nuts. In Britain, they call you a racist to disagree. But Muslim is not a race. The reality of this is rather simple. You offer free welfare handouts with guaranteed income, healthcare, and paid vacations just to show up, and it is HUMAN NATURE to take advantage. This knows no race, gender, or creed limitation. Historically, this ALWAYS takes place around the world. The great migration from Europe to America attracted people who wanted a new future, but they did not come to America expecting welfare and socialism. They came to work and assimilate to the culture and adopted the new language of English. They did not come and demand that America change its culture to accommodate them. I have worked around the world. Politicians are the same everywhere. They will act ONLY out of their own self-interest. Adam Smith’s invisible hand remains supreme. There is no point in demonizing any race, creed, or gender. We are all human and humans all have the same basic traits at their core which have never changed. A mother still cries for he son who dies in war today as she did in ancient times. Technology may change, but we remain the same on a human emotional level. That is why cycles even work in all cultures.